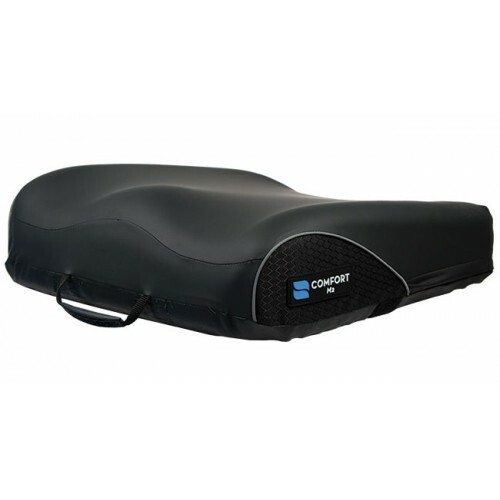 Fluid proof cover with a supple leather-like feel that is easy to clean and protects the inner cushion. 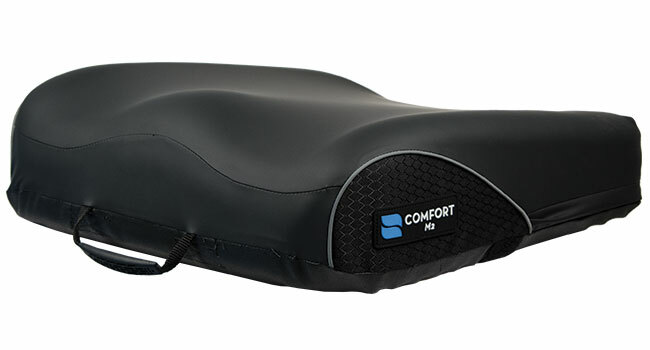 It has multi-dimensional stretch and helps alleviate pressure on bony prominences. Designed for air transmission and heat reduction. It is a two-ply, breathable laminate that combines a high-stretch polyester top layer with a waterproof, breathable vapor barrier. Provides anterior pelvis build-up to prevent forward migration. 4.5" high in the front and 3.5" high in the rear. Controls forward leaning by adding slight anterior height. 4.5" high in the front and 2.5" high in the rear. For greater freedom of movement for standard positioning issues. 3.5" high in the front and 3" high in the rear. 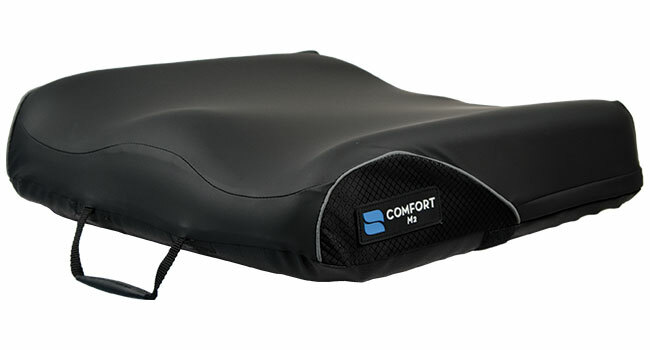 Eliminates the "hammock effect" in outstretched wheelchair upholstery and provides additional support for heavier users. 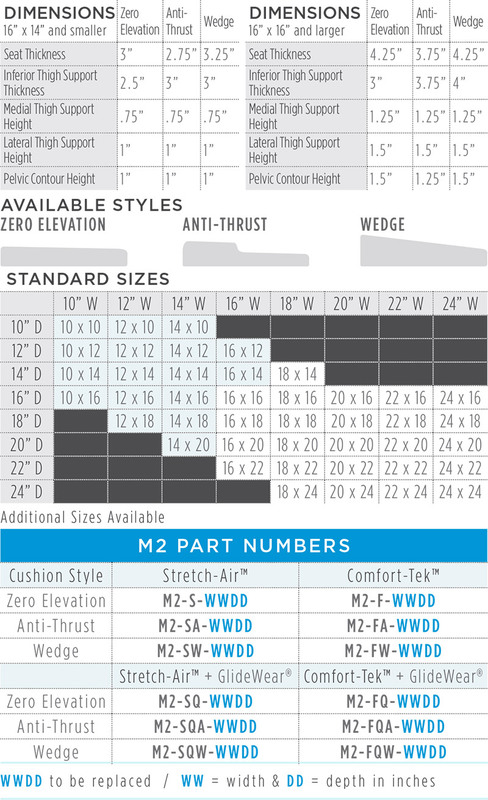 The M2 Wedge cushion controls forward leaning by adding slight anterior height.